Based in picturesque Sealy, Texas, Premier Builders is dedicated to exceeding our clients’ expectations in their new custom home. 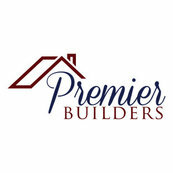 Premier Builders is dedicated to providing our clients with beautiful, quality custom homes at a value price. Our homes feature trendy floor plans customized with lighting design, crown molding, custom mill work, natural finishes and personalized details. Designed for beautiful daily living and gracious entertaining, Premier Builders can build the perfect home for your needs. Our goal is to fulfill our clients’ dreams in what is likely their biggest investment – their Premier Builders custom home. The quality of our Premier Builders homes exceeds that of other builders – but at a value price. Our clients love the luxury and high quality of their Premier Builders custom home. READ OUR REVIEWS ON HOUZZ!